If you’ve been cycling through the summer you’ve probably accumulated a fair bit of fitness, and with the onset of winter we bet you’re keen not to lose it. It can be hard to sustain the motivation to cycle through the winter when it’s cold and wet, but cycling is one of the few sports that you really can do year-round, the UK's winter doesn't really get that bad. We’ve put our heads together and come up with some top tips that might help you to keep cycling through the winter. The wind, rain and the cold can put many people off cycling through the winter, but with the latest cycle clothing it’s perfectly possible to insulate and protect yourself from the elements so you can cycle quite happily through the winter. There’s the old saying ‘there’s no such thing as bad weather, just bad clothing’ and there is some truth in it. 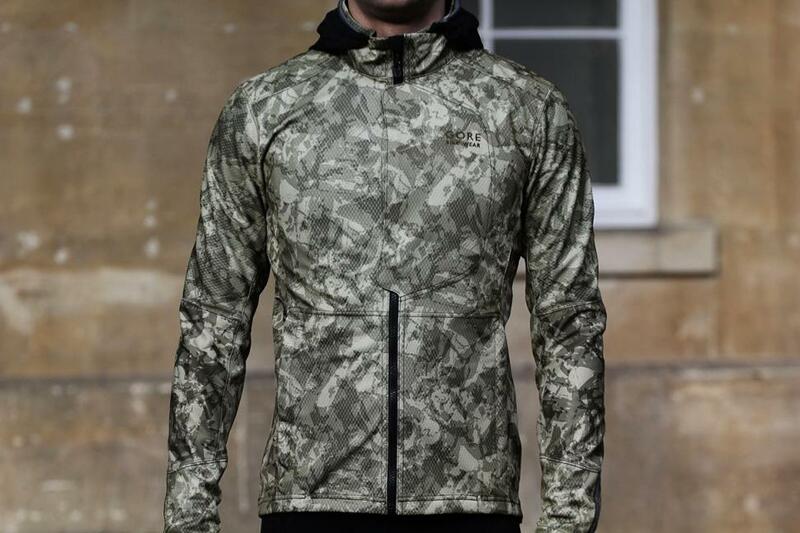 If you spend some money on really good quality cycling clothing it can immeasurably boost your happiness when cycling, and you’ll be less inclined to postpone a ride because it’s a bit damp or chilly out there. When you buy new clothing, you’ll benefit from the motivation to try it out. If you want to commute to work or get up early for a morning ride before heading to the office, then don’t leave everything until the morning. Get all your clothing, kit and bike prepared the evening before, so when you wake up everything is laid out and ready to go, and minimises time spent looking for a pair of gloves or a lost sock. I lay my cycling kit for the ride out beside the bed, so I literally step out of bed and straight into my kit. Likewise, having the bike ready, with lights charged and fitted and tyres inflated, means I can just fill a water bottle and head straight out. Don’t let the dark mornings and evenings put you off, with a set of modern high powered lights you can turn night into day and get out before most people are even out of bed, or while they’re eating their tea and watching Eastenders. Cycling through the night is hugely rewarding and frees you from just riding during the daylight. Set your sights on a future event. If say you entered next year’s Etape for example, you’ll have the incentive you’ll need to summon up the motivation to ride, because you’ll want to stay fit and improve your fitness through the winter, so you arrive at the start line in the best possible shape to give it your best effort. You can also enter smaller events more frequently, like a winter sportive, cyclo-cross race or reliability trial. Put some dates on your calendar and use those to motivate you to get outside when it’s cold and wet. Having a goal to give you a sense of purpose can be a great way to get you outdoors on the bike when the weather conditions might be less than favourable. It can be anything from deciding to commute to work twice a week, to setting a weekly or monthly distance or duration goal. Apps like Strava make it really easy to track your progress and let you set distance goals so you can measure and share your progress. If you don't already cycle commute, then winter is a great time to start. Not only is it a great way to keep your fitness ticking over, but it costs very little - in fact, it will save you money - and is exhilarating compared to being stuffed in the Tube, train, bus or car. Plus you can buff up your epicness credentials with colleagues when they see you’ve cycled in through the conditions they even thought twice about driving in. Oh, and you don't have to do it every day, although once you start it is quite hard to stop. One tactic I favour for keeping my cycling motivation topped up is to avoid riding the same routes all the time. Instead, I spend a lot of time plotting new routes (using my favoured www.bikehike.co.uk) to explore roads around my local area and to discover new roads, and new ways of linking up existing roads. It keeps it interesting. Cycling on your own is hugely rewarding, but sometimes when the weather is bad it can be really encouraging to plan a ride with a friend. You’ll have the incentive on not wanting to let them down, and having to meet them at a certain time to force you out the door. Riding with a friend in bad weather can be great for moral, as you’re both in it together and can be good from a safety point of view too. There are cycling clubs all over the country, you can find your local club using British Cycling's Club Finder, and most organise regular weekday and/or weekend rides. These can be not only a good way of making new friends, but by having a regular meeting time every Saturday morning say, gives you the boost of motivation you need to get on your bike. Riding in a large group is good for spirits when the weather it bad, you can also usually ride a bit faster and seek shelter from the wind, by taking it in turns at the front of the group, and time flies by compared to riding solo. Or you can join the road.cc club. Right here. Right now. Heading indoors and onto the velodrome is a great winter sport. Clubs will organise regular training sessions at Manchester, Newport, Glasgow and Calshot, and provides a fun and exciting way to spice your winter cycling. Most tracks organise induction beginner classes so you can learn the ropes with an instructor, and you can hire bikes so you only need to turn up with your cycling kit. Most tracks run regular racing leagues if you want to race the boards through the winter. Cycling on the track provides a fantastic high-intensity workout and really hones your pedalling technique and handling skills. The track is the best place to learn how to ride closely to other riders in a group and paceline. Take your riding indoors. If you really can’t face the thought of night riding, but can’t get a ride in during daylight, then a turbo trainer or rollers allows you to keep on cycling through the winter, and all from the comfort, warmth and safety of your house or garage. Used effectively, turbo trainers are brilliant on maintaining and improving fitness. They allow you to focus on very specific elements of your fitness. There are tonnes of training videos like Sufferfest that can guide you through a plan. Many cycling clubs also host turbo trainer evenings, just turn up with your bike and turbo and partake in a group session. If you’re a competitive sort, and maybe fancy doing some racing next season, then enlisting the services of a professional coach can be a really good idea. It might seem an elaborate expense and only for the professionals, but a coach can help cyclists of all levels and abilities. If you’re strapped for time because of other commitments, a coach will work with the time you do have available and devise a plan that will get you to the start line as fit as you can be. A coach will also help you hone in on your weaknesses and focus on turning them into strengths. If you can’t afford a coach then there are many good quality books that will help you make the most of your cycling time. Just remember, it’s only weather, so don’t let it put you off riding in it, instead embrace the cold and rain. We’re fortunate on this small island that the weather never gets really that bad, the winter is mostly mild and is well suited to year-round cycling. And the colder and wetter it is, well that's more 'epic' points in the bank. Don’t think too much about how bad you think it might be, instead don’t think about it at all. Just get dressed and get out the door, and get riding. Most of the time it’s never as bad as you think it will be. And the reward for having gotten out will be immeasurable. If you do brave the rain, the wind and/or cold, then you've thoroughly deserved a slice, nay a slab of cake when you get home. What better reason for getting out in the winter than looking forward to some cake and everyone knows cake tastes better after an epic bike ride. 17. Try to get your local authority to clear the cycle paths. As evidenced by the top picture, Oxfordshire County Council doesn't. And as evidenced by my winter trips to the John Radcliffe A&E, it can be very icy on untreated paths. Not only does it rain more, but the colder weather means wet surfaces don't dry so quickly. Agreed. We don't have winter here where I live, but the poorly maintained roads in my country always have some sort of standing water or puddle, so mudguards/fenders are pretty much a permenent fixture on my bike fleet. I used my bike 12 months of the year for commuting. Now retired will ride between storms and showers, this keeps everything moving, stops me from seizing up and becoming a couch potato. 17. Disguise yourself as a bit of crappy old tarmac? Sitting on a stuffy bus with the scent of some one else fart is my motivation. 7. Explore New Routes... in the other hemisphere. Red velvet cake is nice. Winter commuting via bike never really bothered me since all the summer riders had got off the road making it even easier to get about, about the most annoying thing I ever had happen was during a snow commute on my bike the chain snapped as I was going up the hill about 1/2 mile before my work leaving me walking both to work and then the longer journey back home.